You must be a member of the Dubai Triathlon Group to attend this activity. Would you like to join this group? 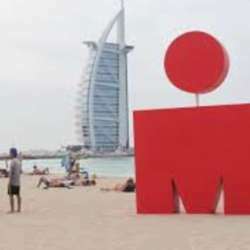 An Ironman 70.3, also known as a Half Ironman, is one of a series of long-distance triathlon races organized by the World Triathlon Corporation. The "70.3" refers to the total distance in miles covered in the race, consisting of a 1.2-mile (1.9km) swim, a 56-mile(90km) bike ride, and a 13.1-mile (21km) run. if you want to cheer, you can register as volunteers.